Copper, which accounts for 61% of group EBITDA, drives the growth of the profit with its record price levels. Total revenue of $30.5bln is above estimates. Earnings Per Share of 1.61 after exceptional items are on the low side of analysts estimates. 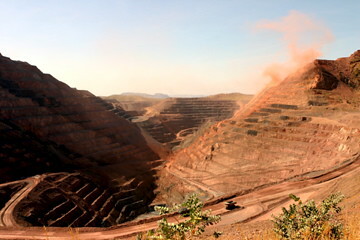 However, growth prospects, including the acquisition of the majority share in Zanaga iron ore, drive stock price up 1% above natural resources comparables. Production volume is slightly higher than in past year. However, the price adjusted EBITDA for the year is down 27% because of unfavorable exchange rate and inflation. In the coming year the company will have to show it can ramp up production and benefit from the high commodity prices. The 20$ct dividend (return to pre-crisis level) amounts to $586 mln, only a small part of the operational cash generation of the past year. Xstrata plans to approve a $8bln capital projects this year on top of its ambitious expansion program.